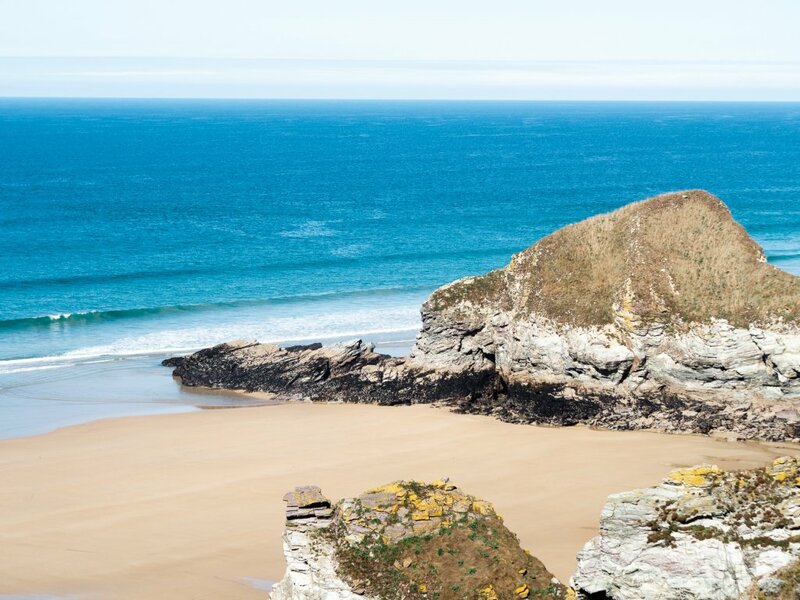 Based on the cliff overlooking the ocean next to Porth beach in Newquay, Sands Resort is the host of a unique ‘Moroc Spa’. There are a long string of beaches along the coastline of Newquay, many of which I get confused about with the names! I believe the beach directly below Sands Resort is actually called Whipsiderry Beach, which is accessible on foot at low tide via Porth beach to the West. You can’t miss the orange Sands Resort building as you drive up the hill! It is a large family-friendly resort with indoor and outdoor pools, as well as the new addition of their ‘Moroc Spa’. 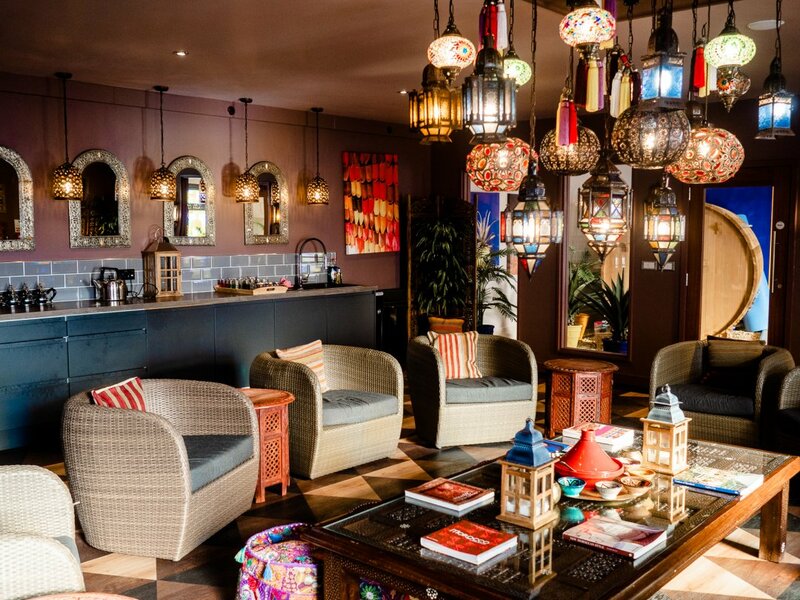 Down below the pool area of the hotel, Sands have created a Moroccan themed ‘indoor garden’ and lounge area and have decorated it so that you are truly transported overseas when you enter! 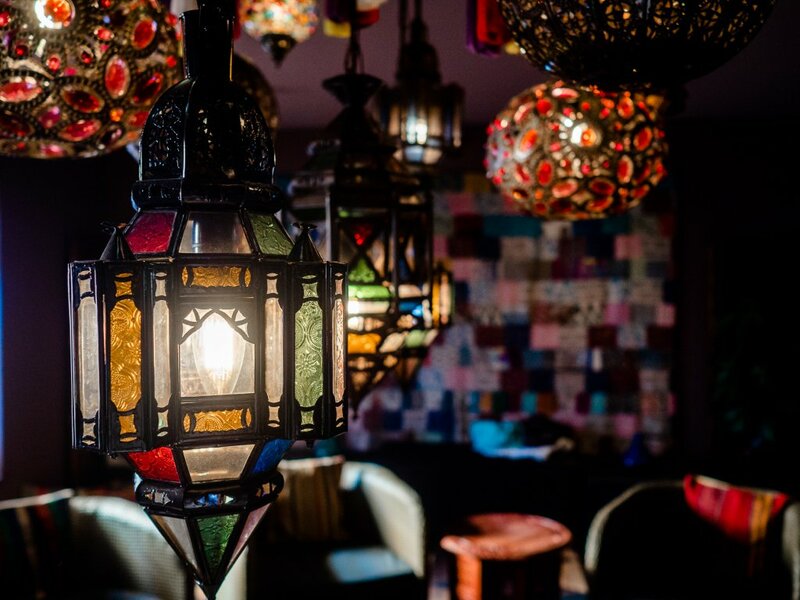 From stained glass windows, mosaic mirrors, bright fabrics and more glass pendant lamps than you can count, the decor was really impressive. 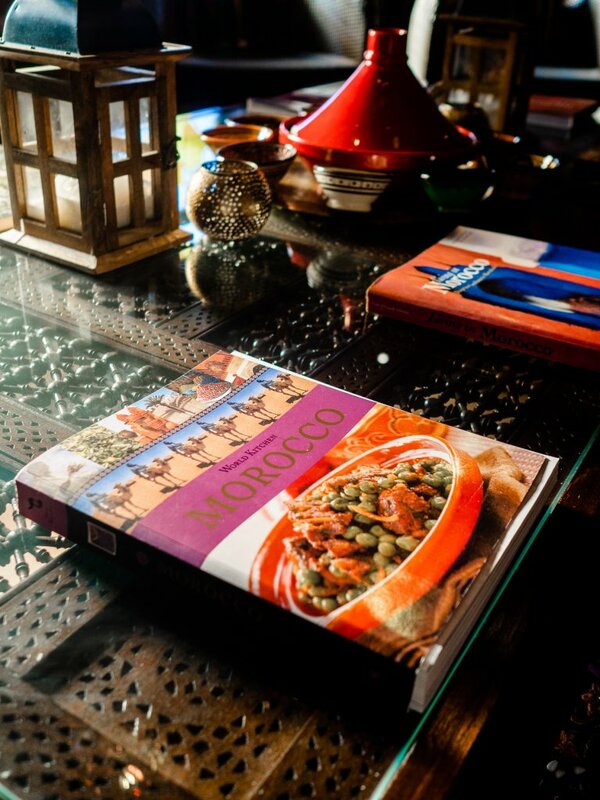 There were all sorts of Morocco travel books to look through and candles making the whole room smell like delicious. 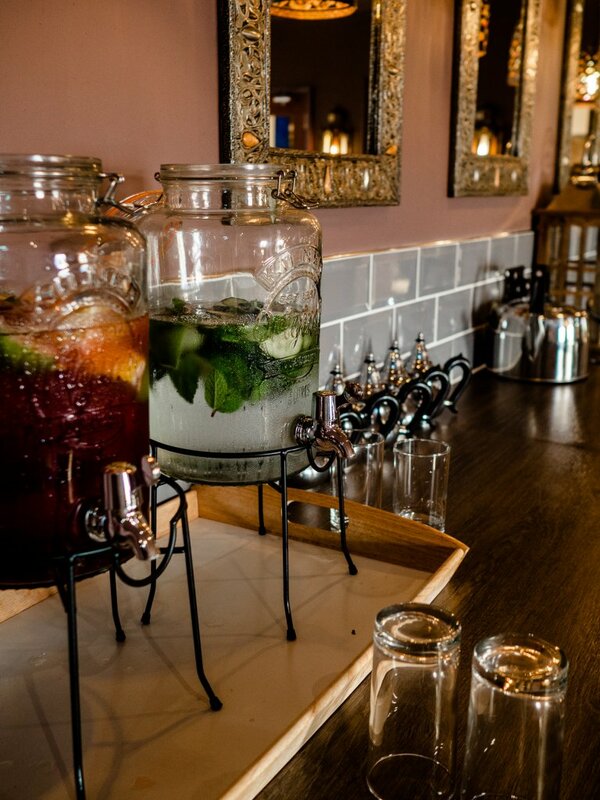 With flavoured water and Moroccan tea on tap, the main features of this themed area is the cedar wood hot tub and barrel steam room in the indoor garden. We were guided in and shown around before being left for our 90 minutes to relax and please ourselves. Olivia and I went together for a girly spa day and in-part a celebration for my birthday the week before. 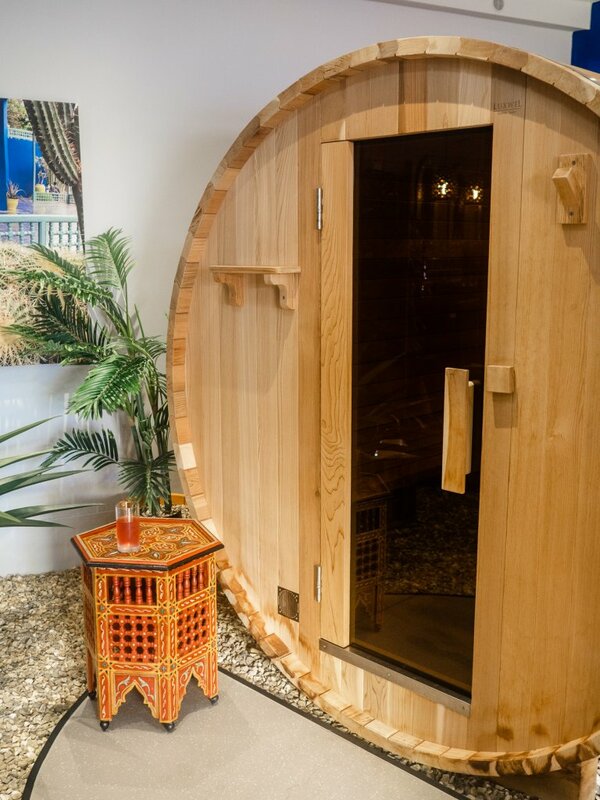 There was another couple in the Moroc Spa area with us, but no one else which was good as it meant it was quiet and we could split time in the hot tub and the steam room between our two groups. I’m not sure how it would work if there were more than two groups though, as the hot tub was quite cosy! It was lovely to spend some girl time together and chill in the warmth; it really did feel like we were somewhere else completely. 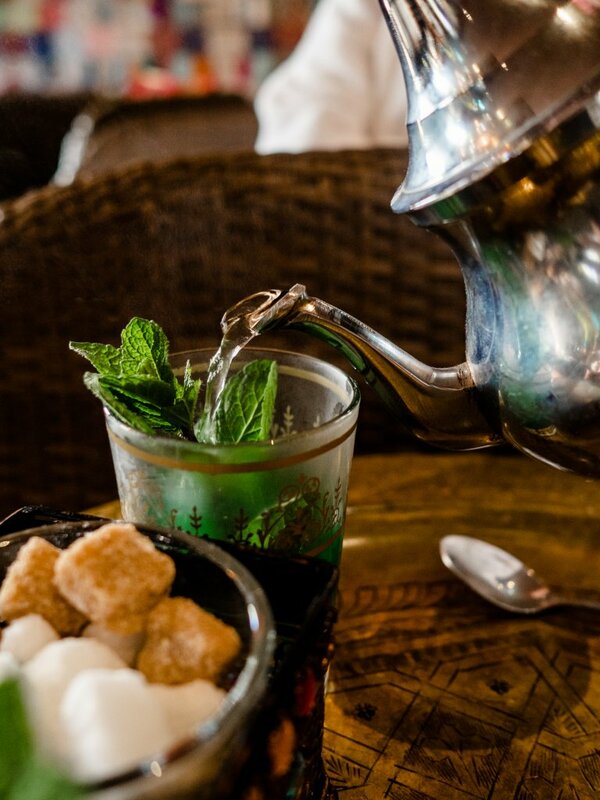 At the end of the 90 minutes, we were brought a selection of delicious Moroccan cakes, bubbly and a pot of sweet mint tea. 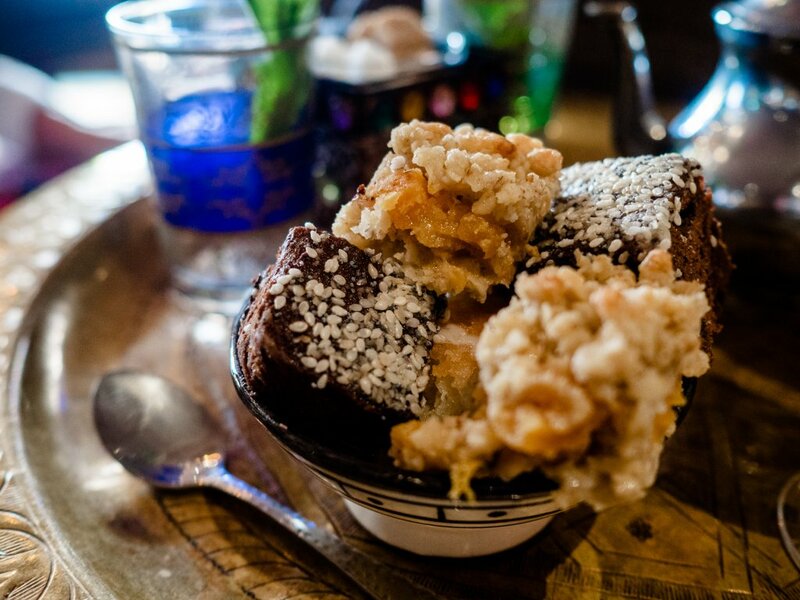 I’m personally a huge fan of Moroccan food – especially their cakes and tea, and this was no exception! There was a delicious apricot slice, a brownie and a lemon drizzle style cake too. After we had finished our treats (or rather, I had finished my treats – Olivia’s dietary requirements (gluten and dairy free) meant she couldn’t eat the cake, although she was offered a fruit salad as an alternative), we had a bit of time to spare before our lunch at 12:30pm. We opted for a half hour in the Relaxation Room. It was nice to have an area with long, comfy loungers to lie and relax on, but it was fairly small and lots of people from other areas of the hotel spa/pool were in there too, which was fine but meant it felt more busy than relaxed. Eventually most people left though and we laid back to read our books. Lunch was served in the restaurant, and our spa day included a 2 course light lunch that we could choose from on a menu at the beginning of the day. 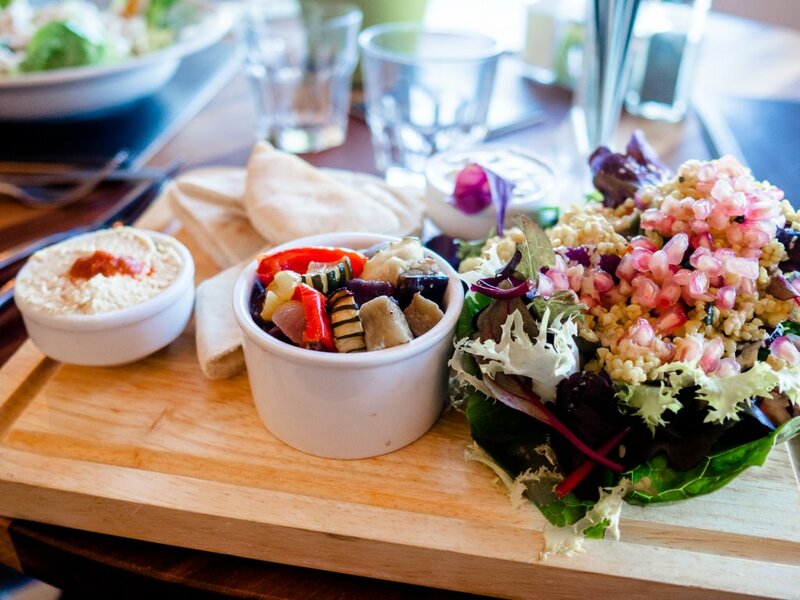 I chose the Mezze with hummus, pitta, grilled vegetables and a pomegranate couscous salad (to go with the Eastern theme! ), which was really tasty. I also had brownies for dessert but after the cake earlier I was really full and ended up taking a doggy bag home for Alex instead! We then headed back downstairs for our final step of the day – our spa treatments! Olivia chose the Vanilla & Rose facial, while I went for an Indian Head Massage. There’s nothing like a good massage to get you feeling really relaxed and it was a nice way to end the day. 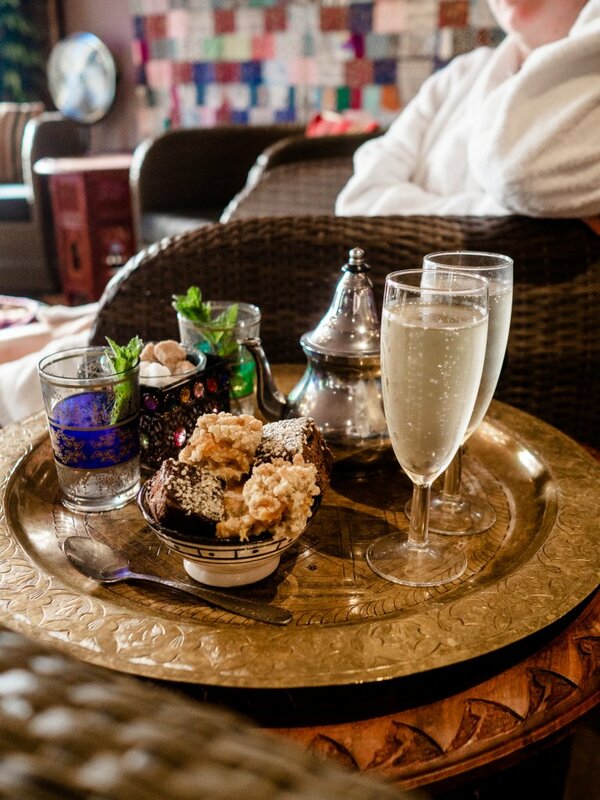 The Moroccan Spa Day usually costs £75pp, which includes a 2 course lunch, bubbly and (delicious!) selection of cakes, plus a 30 minute treatment. I think it would be slightly better value and more competitive if the package also included use of the hotel’s pool upstairs, but the theming is unique to Cornwall though and helped us both feel relaxed. 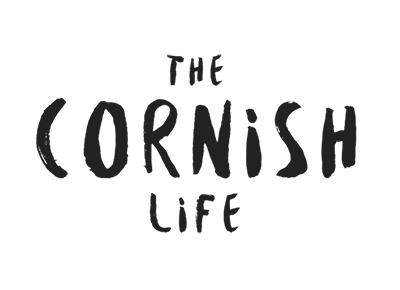 To find out more, check out the Sands Resort website. 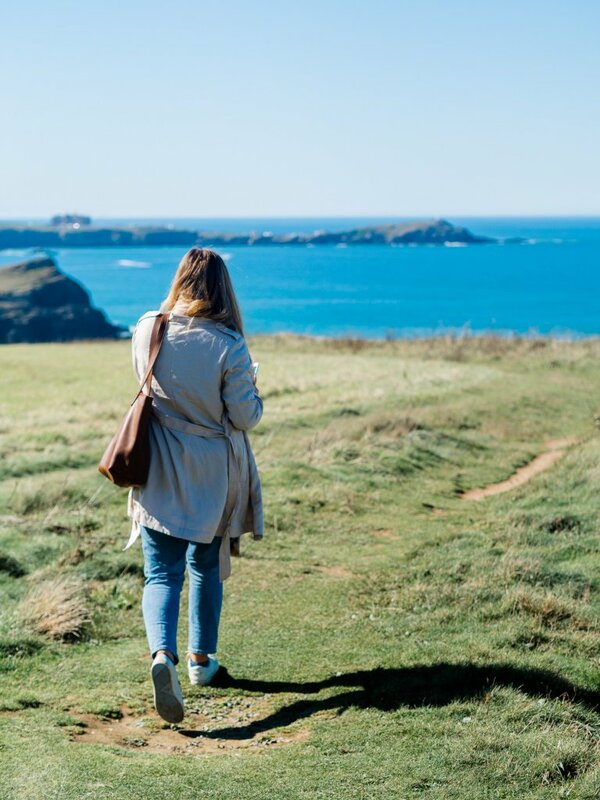 Also don’t forget to look around my ‘Things to Do in Cornwall’ category for more spa reviews and activities to do in this beautiful county!